The Mackie ProFX4v2 is a 4 channel professional studio effects mixing desk / mixer. It features the new ReadyFX effects engine that gives you 16 different and superb effects such as reverb and delay. 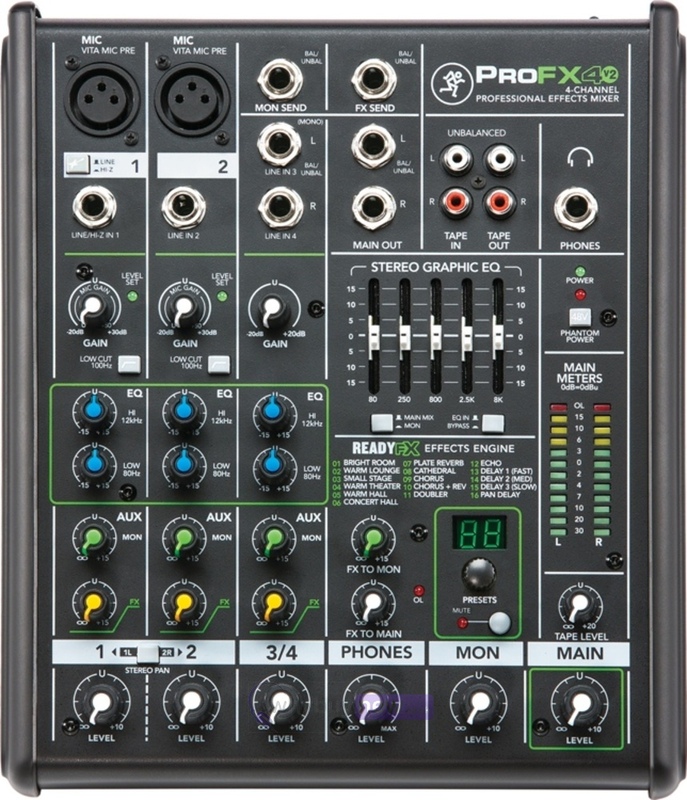 This mixer is ideal for live recording and home studios and with Mackie's famous built like a tank design it is suitably protected for life on the road. Mackie ProFXv2 mixers provide a comprehensive live sound solution with a wide range of models, each delivering unmatched performance. With the all-new preamps and effects engine, plus tools like GEQ, ProFXv2 mixer performance will truly elevate your live sound game. Here we have the Mackie ProFX4v2 in brand new condition and in B-Stock. The B-Stock versions would have been on display at a training evening or trade exhibition only and will come boxed 'as new' with all accessories and a 1-year warranty. 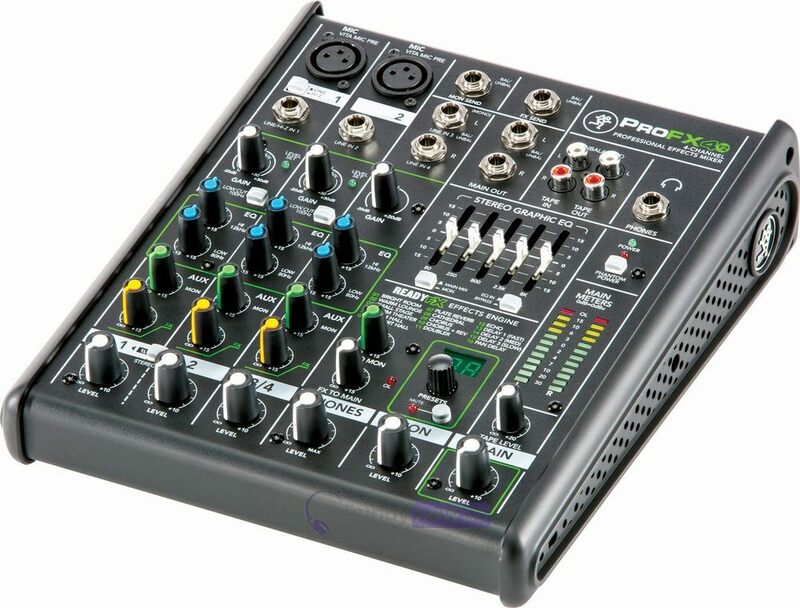 Buy this amazing Mackie ProFX4v2 with confidence with 100% satisfaction guaranteed or your money back.